I have been working on a few different shield boards for the Arduino platform. In an attempt to make life easier for myself I created a couple starter files for my future projects. The zip file below includes a schematic and PCB file in gEDA format. The board has the four headers and mounting holes for an Arduino shield board. I’ve decided to release the files into the wild for anyone to use. These files are released under the Creative Commons Attribution 3.0 Unported license. Just what I needed for my project. Thanks a lot for sharing. It’s exactly what’s I’m looking for. 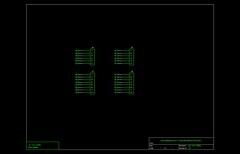 Could i fund the development of an outline for the Auduino Mega 2560? Sorry I’ve moved away from using gEDA and now use KiCAD. Otherwise I might take you up on the offer. Have you tried posting to the gEDA mailing list? 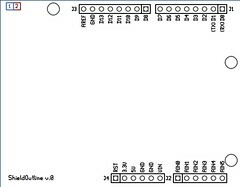 Do you have arduino shield templates for pcb?